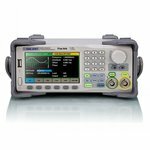 Function / Waveform Generator is a device used to generate and convert waveforms with the specified characteristics. 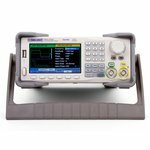 Dual-channel function/arbitary waveform generator, with 25 MHz frequency, 125 MS/s sample rate, 14 bits vertical resolution, 16 Kpts waveform length, modulation functions: AM, FM, PM, FSK, ASK, PWM, Sweep, Burst. 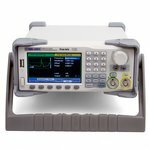 Dual-channel DDS/arbitary waveform generator, with 60 MHz frequency, 250 MS/s sample rate, 14 bits vertical resolution, 1 Mpts memory depth , functions: AM, FM, PM, ASK, FSK, PWM, Sweep, Burst. 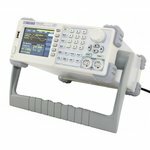 Dual-channel function/arbitary waveform generator, with 25 MHz frequency, 200 MS/s sample rate, 14 bits vertical resolution, 1 Mpts memory depth, functions: AM, FM, PM, ASK, FSK, PWM, Sweep, Burst. Dual-channel waveform generator with 60 MHz max. frequency, 200 MSa/s sample rate, and 8 Mpts (standard) of arbitrary waveform memory. 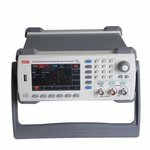 Dual-channel function/arbitary waveform generator, with 60 MHz frequency, 500 MS/s sample rate, 14 bits vertical resolution, 16 K waveform length, modulation functions: AM, FM, PM, ASK, FSK, PSK, BPSK, QPSK, 3FSK, 4FSK, OSK, PWM. Dual-channel function/arbitary waveform generator with 40 MHz max. output frequency, 1.2 GSa/s sample rate, 16 bits vertical resolution. 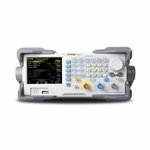 Dual-channel function/arbitary waveform generator with 60 MHz max. output frequency, 150 MSa/s sample rate, 14 bits vertical resolution. 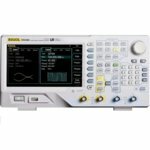 Dual-channel function/arbitary waveform generator with 120 MHz max. output frequency, 1.2 GSa/s sample rate, 16 bits vertical resolution. 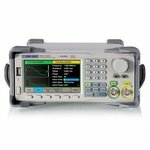 Dual-channel function/arbitary waveform generator, with 160 MHz frequency, 500 MS/s sample rate, 14 bits vertical resolution, 16 K waveform length, modulation functions: AM, FM, PM, ASK, FSK, PSK, BPSK, QPSK, 3FSK, 4FSK, OSK, PWM. 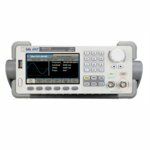 Dual-channel function/arbitary waveform generator, with 10 MHz frequency, 125 MS/s sample rate, 14 bits vertical resolution, 16 K waveform length, modulation functions: AM, FM, PM, FSK, ASK, PWM, Sweep, Burst. 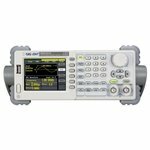 Dual-channel function/arbitary waveform generator with 30 MHz max. output frequency, 150 MSa/s sample rate, 14 bits vertical resolution. 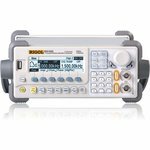 40 MHz frequency, 100 MS/s sample rate, 14 bits vertical resolution, 512 kpts waveform length, modulation functions: AM, FM, PM, PWM, FSK, Sweep, Burst. 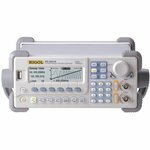 Dual channel generator with 5 function and 48 arbitrary waveforms provides stable, high-precision, pure and low distortion sine signals. 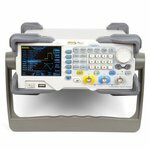 Dual-channel function/arbitary waveform generator, with 100 MHz frequency, 500 MS/s sample rate, 14 bits vertical resolution, 16 K waveform length, modulation functions: AM, FM, PM, ASK, FSK, PSK, BPSK, QPSK, 3FSK, 4FSK, OSK, PWM. 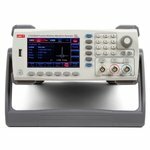 Dual-channel function/arbitary waveform generator, with 80 MHz max. output frequency, 500 MS/s sample rate, 14 bits vertical resolution, 16 K waveform length. 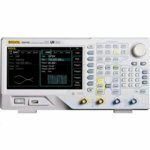 Dual-channel function/arbitary waveform generator, with 120 MHz max. output frequency, 500 MS/s sample rate, 14 bits vertical resolution, 16 K waveform length. 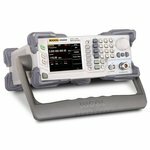 Dual-channel function/arbitary waveform generator, with 160 MHz max. output frequency, 500 MS/s sample rate, 14 bits vertical resolution, 16 K waveform length. Dual-channel waveform generator with 30 MHz max. frequency, 200 MSa/s sample rate, and 8 Mpts (standard) of arbitrary waveform memory. 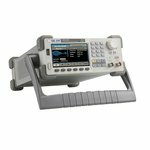 Dual-channel function/arbitary waveform generator with 80 MHz max. output frequency, 1.2 GSa/s sample rate, 16 bits vertical resolution. 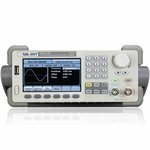 High-performance RF signal generator which provides standard AM/FM/ØM analog modulation with a maximum frequency 3 GHz, and also frequency and level sweep functions.